In addition to funding travel to retreats and academic conferences, ACRE also offers funding reimbursement for attending other liberty-related events. In the past, students have attended programs hosted by Foundation for Economic Education, Institute for Humane Studies, Students for Liberty, Property and Environment Rights Center, and others. The travel fund application is open to all Arkansas students. 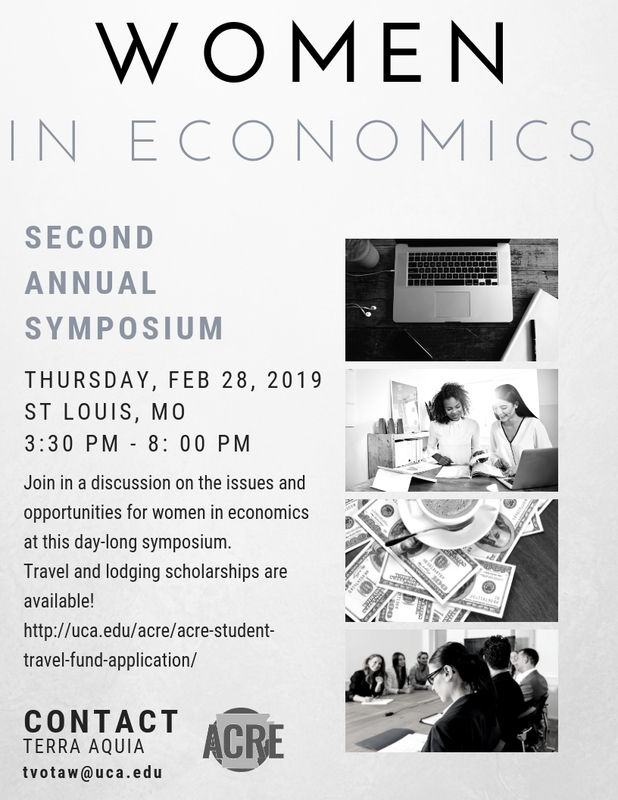 UCA students and faculty will be attending the Second Annual Women in Economics Symposium sponsored by the Federal Reserve Bank of St. Louis on February 28. Participants will discuss the issues and opportunities in the field. ACRE will be providing travel scholarships for Arkansas students to attend. 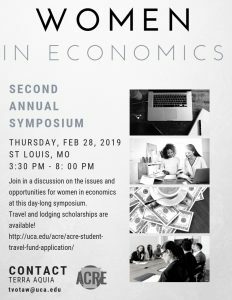 In addition to time to network and discuss career options, the event will offer a review of research and data on women in economics; panels and discussion sessions featuring women from various career fields who majored in economics; and unique perspectives from leaders in the field. Featured speakers include: Loretta Mester, president and CEO at the Federal Reserve Bank of Cleveland, Amanda Bayer, professor of economics at Swarthmore College, a leading researcher on the topic of diversity in economics, and Kate Warne, principal and investment strategist at Edward Jones. The registration period for this symposium has ended. For more information about future events, contact Terra Aquia at tvotaw@uca.edu. Ready to apply for a travel scholarship? Click here!